Luca wanted to enjoy a weekend out in The Netherlands, I only asked some time during both Saturday and Sunday to run some 8 to 10km each day. 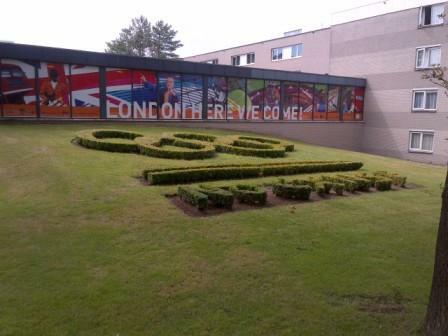 We ended up in Papendal: a hotel and sports centre in the country side close to Arnhem. At first I didn’t know about it, just what Luca told me “there is forest around where you can run”. Once we arrived she explained to me more about the place and we could read in some posters that the hotel is used by Dutch national sports teams of several disciplines to prepare big competitions such as the Olympics. Time to the next Olympics games. Then, I recalled “I believe that FC Barcelona might have come here as well for summer stages prior to starting the season”. I googled it, and voi là! FC Barcelona has been staged here several times starting as far back as the 70s. I saw an interesting article describing the centre [in Spanish, 237KB] from 1981, when it was already the 4th time the club visited the centre, in 1982 they repeated the experience and many times afterwards (including one in 1988 when the team captain got himself arrested by Dutch police!). Other Spanish teams have been there as well, e.g. Athletic Bilbao in 2003 & 2007. Luca & I enjoyed a quiet weekend in which we played again golf, this time in the “Pitch & Putt” installation (close to the Edese golf club), just about 7 weeks after having played in Scotland. 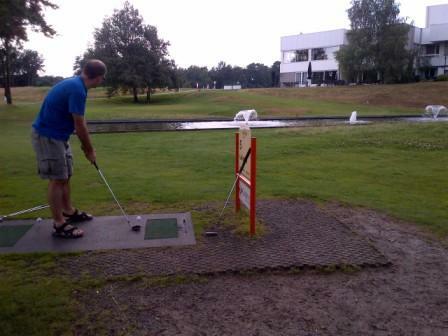 The game was entertaining, with some pond and trees in between the holes. We’re already looking forward to play the game in Toulouse. 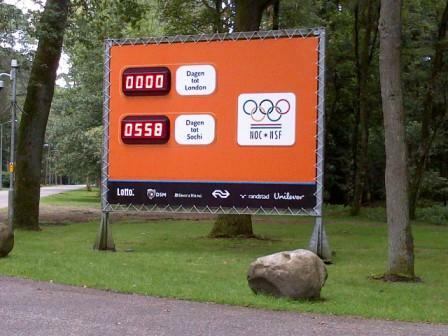 Then I could run both days around the installations and in the athletics track. 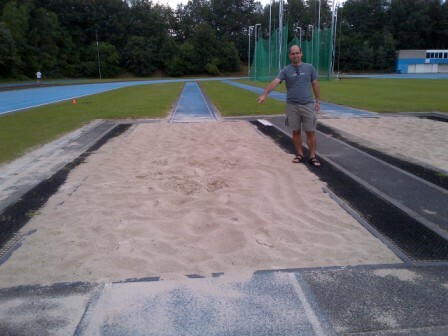 I couldn’t resist the temptation of trying out 400m (1’16”), 100m (15”) and long jump (…m)… though I have to say that after having run 9km each day, the legs are not in the best situation to handle those activities. 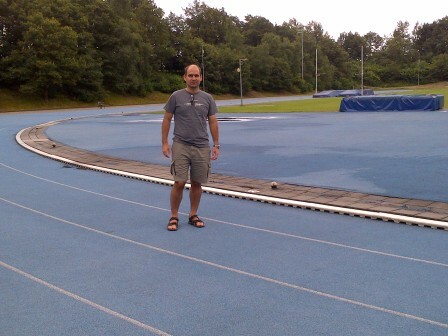 I’ll have to try again being rested in a track in Toulouse… ideally after Berlin marathon training season is finished. Athletics track where I did some training sessions. 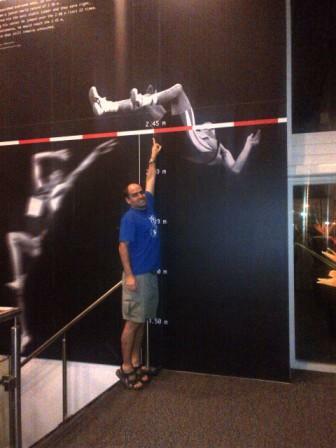 Not that I jumped long, huh? 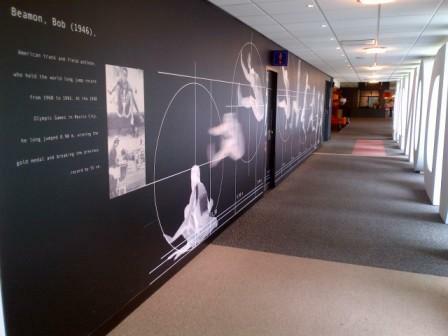 We also enjoyed the sports decoration motives that you can find in several spots in the hotel. They already make you feel in the sportive mood. Javier Sotomayor’s 2.45m high jump. Bob Beamon’s 8.90m long jump. You wish you were an athlete.